70s 80s Summer, Retro Disco Clothing Patterns - MISSES' JACKET, JUMPSUIT & SASH_Loose-fitting. 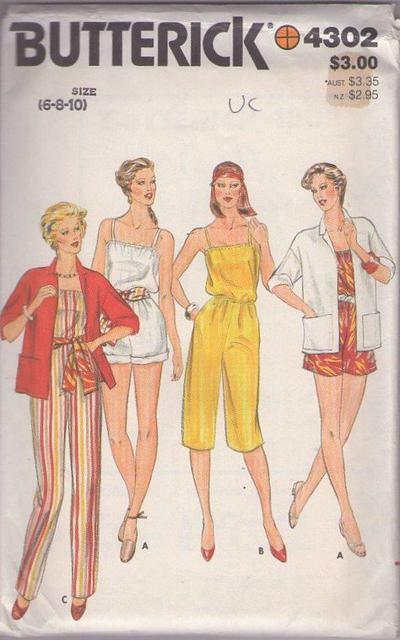 unlined jacket has dropped shoulders, three-quarter length sleeves Loose-fitting jumpsuit in three lengths has elasticized upper edge and waistline, shoulder straps, side seam pockets and sash. NOTE: Wrong side of fabric will show when shorts and sleeves are worn rolled up.